Wireless carriers have been our customers since ISCO's inception over twenty-five years ago. As we listen to the stories about how they all need to add new frequency bands, manage gain and attenuation, deploy additional cell sites, modernize the network, and improve spectral efficiency, we know that each cell site has different challenges that can't always be met with standard equipment. Verdium® solutions showcase our RF expertise and ability to respond quickly to help meet the challenges carriers face with today's wireless networks. We start by listening to how your network is performing and changing, then we engage our engineers to design solutions for your specific requirements, and the result is your network performing to meet your highest expectations. ISCO's Verdium® RF Performance products include filters, duplexers, diplexers, amplifiers, combiners and other components specifically designed to meet stringent performance objectives in today's wireless networks. We support unique configurations of equipment to help wireless operators improve sensitivity, combine signals, maximize selectivity and reduce the noise floor in all types of integration situations. Verdium® solutions bring manageability into your network. Whether you're adding services, moving equipment, introducing new frequencies, or solving interference problems, our specialized RF solutions will fit your network and protect its performance. Email us for details on the products shown below. ISCO’s AWS BAS Filter solves the problem of out-of-band emissions (OOBE) from AWS LTE stations which may interfere with Broadcast Auxiliary Service in adjacent spectrum. TV stations use the BAS Spectrum in the 2.1 GHz band for relaying live video from Electronic News Gathering equipment at events to central receive sites. The closer AWS towers and BAS receive sites get, the more likely AWS will cause harmful interference within the BAS band. A filter on the AWS transmitter prevents out-of-band emissions, fulfilling the FCC requirement for the AWS licensee to protect BAS licensees from interference. 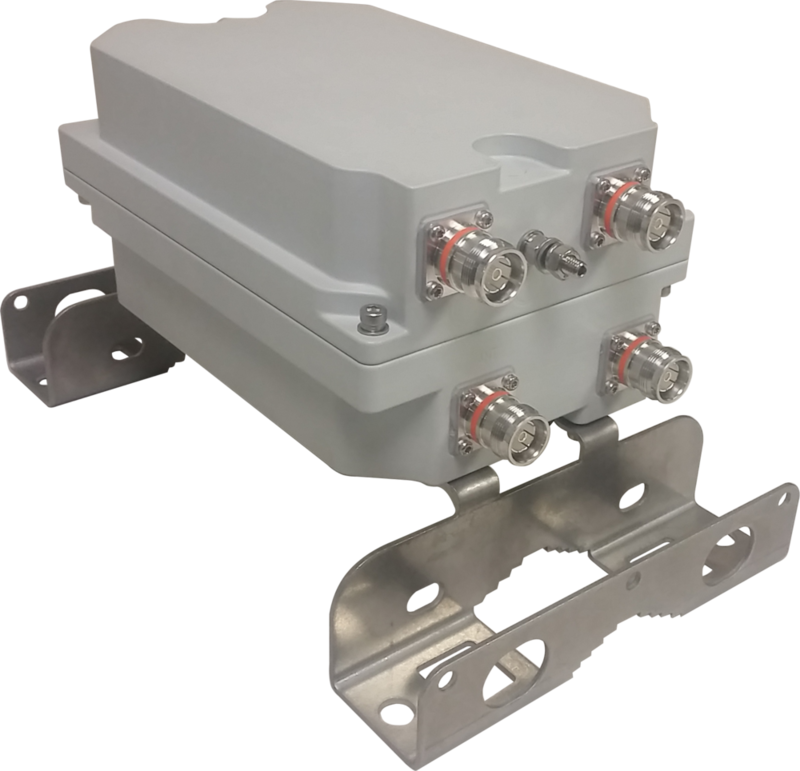 ISCO’s High Performance Combiner products simplify the transition to LTE by providing high quality RF performance while combining multiple frequencies on a single antenna. Whether you are adding LTE to your CDMA or UMTS network or adding antennas to support 4x4 MIMO, the combiner fits seamlessly into any network with low insertion loss, ensuring high performance throughout the spectrum refarming period. ISCO’s family of filters solve the problem of spurious emissions that may interfere with proper operation. Today's dense spectrum usage results in more systems being crowded closer together, increasing the likelihood of downlink energy impacting the reverse uplink. For example, the proximity of the frequencies of Band 29 transmit downlink and the Band 17 receive uplink mean that the Band 17 uplink can easily suffer from excessive noise rise that impacts its performance and usage when Band 29 is turned up. Deploying a filter on the Band 29 transmitter prevents out-of-band transmit energy from impairing the adjacent Band 17 uplink, allowing both bands to be used to deliver needed capacity.